The many uses of Baking Soda shampoo also include hair washing it can also be used as a natural shampoo that makes hair growth & shiny. 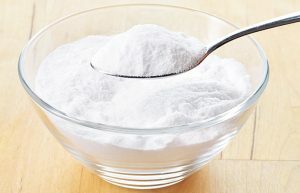 We all know the versatility of Baking Soda/sodium bicarbonate, and we know that it is mainly used for cooking and cleaning, but at the same time, it is used in many medical treatments, thanks to its healing properties. Every day we discover something new about this beautiful ingredient that allows us to use many ways. Sodium bicarbonate in nature is present dissolved in surface and ground waters as well as rarely as a mineral. It appears as a white and crystalline powder and is not very soluble in water, although it is salt. To better the quality of your hair we recommend using bicarbonate, after shampoo and conditioner, the result will be shiny hair already after some washing. Or you can use it instead of your shampoo regularly. If you love natural shampoos and do not want to use chemicals anymore, but you find it hard to see them on the market you can easily make it at home, the result is optimal and also cheaper. Probably, in the beginning, you will find it difficult to rinse because the natural shampoo does not produce the classic foam, but do not worry after a couple of washes you will be able to deal with the situation. Add one part of Baking soda to 3 parts of water in a small bottle. 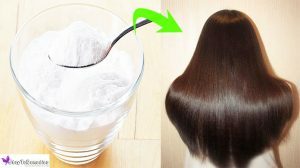 Beware of the doses, because they can be changed according to the length of your hair, if you have short hair, it is recommended to mix 2 or 3 tablespoons of Baking soda and add three times the same amount of water. Apply the shampoo to dry or wet hair and proceed from the top to the ends. Leave to stand for 3 minutes and rinse. When you have seen the results, you will be happy to have discovered this method. 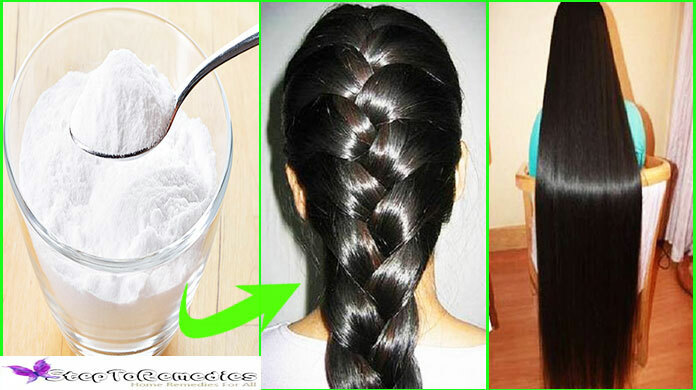 Do not forget to clean the Baking soda from your hair with warm water. As a last step apply apple cider vinegar, mix a part of vinegar with four of water. If you do not like the smell and want to make your new natural shampoo more fragrant yourself can add a few drops of essential oils. Of course, be careful of the application, avoid contact with the eyes. 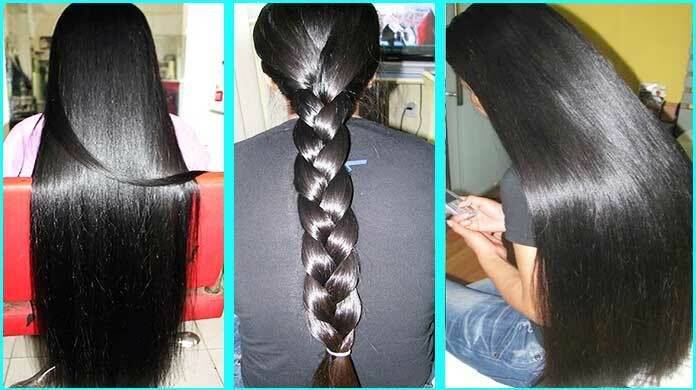 After the treatment, you will be enthusiastic about the shine, quality, and beauty of your hair. Washing your hair with a traditional shampoo can, in the long run, damage our hair, especially if you have wavy or curly hair. 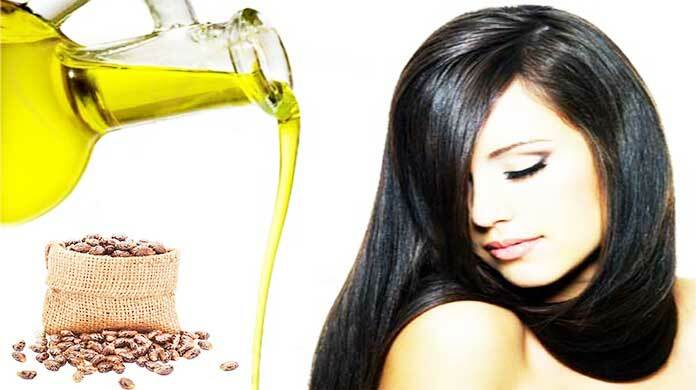 Most of the goods on the market contain sulfates, that is to say, extremely aggressive substances which make the hair dry and dry, sometimes even irritating the scalp. For full-bodied, healthy and shiny hair, it is necessary to stop using the shampoo and replace it with more delicate products that can clean the hair equally effectively. If you have curly or very wavy hair replace the shampoo with conditioner: after you wet your hair, you will have to apply a small amount on the entire skin, gently massaging with the fingertips to remove dirt and any dandruff. 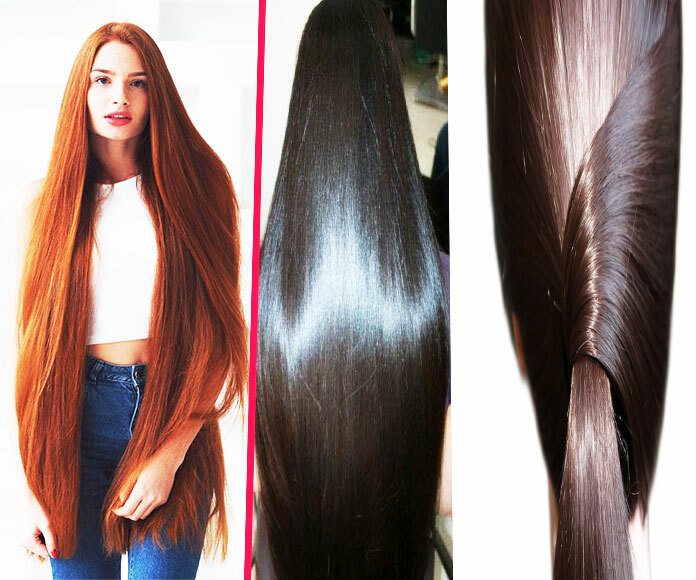 To untangle the hair, then, you should use only the fingers, avoiding the use of combs or brushes not to break them, and finally, it will be necessary to rinse carefully, taking care to eliminate any residual product. Repeating this operation once every two days, you will be able to see the results progressively. 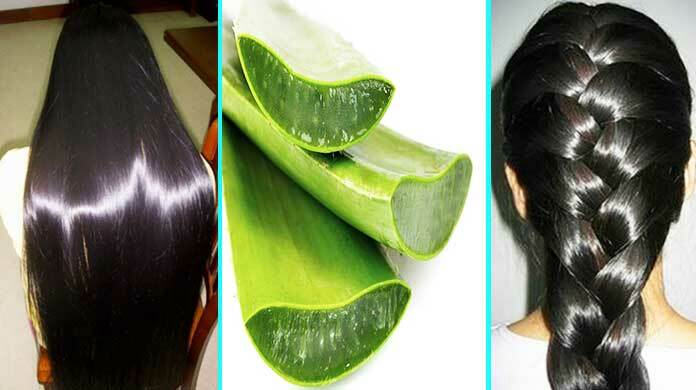 The smooth, however, should rely on home remedies to wash the hair without shampoo. One of these, for example, involves the use of a spoon of baking soda mixed with a glass of hot water to create a lotion to be applied to dry hair: another, instead, recommends two tablespoons of apple vinegar, characterized by a high degreasing power. Combined with hot water to thoroughly clean the hair. 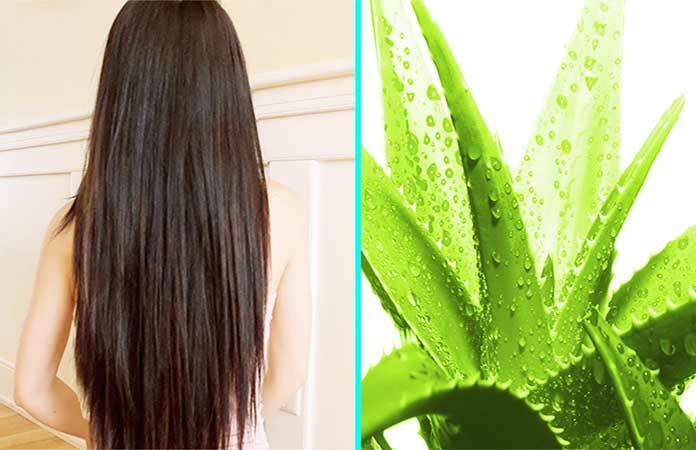 Alternatively, you could mix lemon juice with balsam in equal quantities: utilizing it on this head, of root to ends, it will be easier to untangle the hair to have, as a final result, a voluminous and beautiful hair that will be even shinier if you rinse with cold water. Finally, for drying and styling, it is necessary to avoid the use of products containing silicones. It is important to clarify that the hair needs time to “detoxify” from the different years of use of traditional shampoos and regain health: to see the results, therefore, it may take between 2 and four weeks. Hair growth is an individual matter. There are those who boast a rapid regrowth and those who must give account to an extreme slowness. For this reason, many people tend not to cut their hair too much for fear that they will not grow anymore. In reality, there are a few good habits that you can take to make sure that this does not happen. Let’s see what they are. We know that if you have to make shampoo, you have to massage the skin well. Many people ignore, however, that it should be done dry too. The reason is simple. The feeling of relaxation that we feel when a message is made comes from the blood flow that this practice involves. The consequence is that this facilitates the release of nutrients. For this reason, when the hair is wet, while we are in the shower, you have to apply the shampoo, massaging the skin. We must always start from the bottom and slowly reach the center of the head. A jet of boiling water favors the process. Many kids do not still understand why women are so careful about split ends. In reality, many girls know well that sprouting lengths and thinning the cut make the hair healthier and stronger. Furthermore, higher growth is given. It is, therefore, essential to underline the importance of food. Whatever we eat inevitably also affects our body. It also applies to hair. Let’s help them with a higher intake of Vitamin B. This also makes our nails stronger. Hair growth underlies its strength. The shampoo cleans but tends to be aggressive. A good ally of long, healthy and robust hair is the balm. It is always necessary to use it. Its first capacity turns out to be the reintegration of the fundamental nutritive principles. On the opposite, avoid using similar plates and tools. Excessive heat is the sworn enemy of the strength of the scalp. Once showered, never forget to rinse at low temperatures. High temperatures help regrow but can damage the hair. In this way, it’s possible to keep the proof the hot shower without having to suffer the cons. 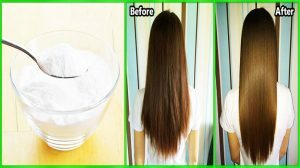 How you like this post about “Baking Soda Shampoo Hair Loss Recipe at Home”, Do let me know in the comment section below.